One we have company over, I always feel terrible about buying disposable goods. While paper towels have always been one of those evil necessities when you are serving food, I cringe at buying paper plates and cups. Seeing the trash overflowing with these items has always been hard for me, and I try my best to always have normal dishware out when company is visiting. Probably the worst offenders – something that is nice to have on hand for some guests, but only minimally useful – are plastic straws. In all honesty, I avoid buying them because they are nothing but a money pit since they aren't reusable and are a plastic item that really doesn't have a purpose. It wasn't until recently that I found out there actually was an alternative to plastic straws – glass. 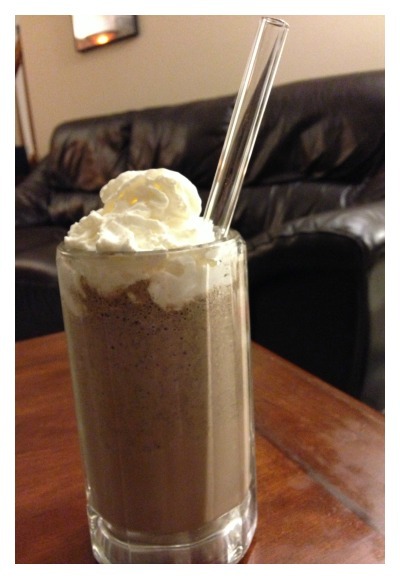 Call me crazy but until I saw them featured on other blogs, I thought glass straws were only used for staging food. Curious and wanting to know more, I reached to one of the largest manufacturers of these straws – Glass Dharma – who were very excited to provide me with free straws for review purposes. For years, people have been seeing the effects of disposable items being dumped and left to rot, or rather lie around and NOT rot, in landfills for centuries. One of the worst items that fill most landfills are straws. If you think about it, it's not really too surprising. We get a straw every time we go to a restaurant and even sometimes have them available for little kids, to cut down on mess. The problem with these straws, however, is that like most plastics, they take hundreds, if not thousands of years to decompose and can hurt animals who are scavenging for food. Knowing that something had to be done to help our environment, the David Leonhardt launched Glass Dharma in 2007. On his own, he created this small glass straw manufacturer that quickly started growing, creating high quality, reusable glass straws for the public. These American made straws are quickly growing in popularity, and Glass Dharma is hoping to soon provide glass straws to 2% of the American public. While this may be a large goal, it will be a huge step to helping secure a healthier, happier environment for our children. 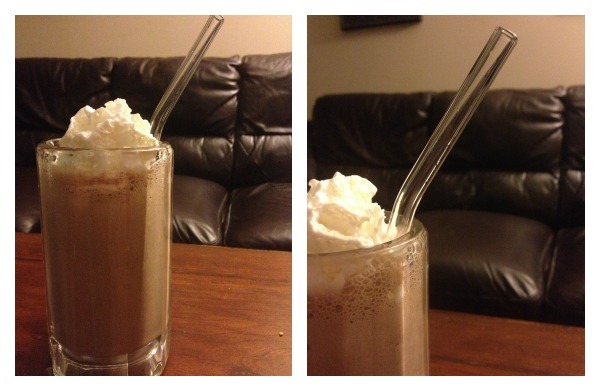 When my Glass Dharma straws arrived I couldn't wait to start making some of our favorite shakes and other cold drinks. I was happy to see they provide me with a variety of fun, visually exciting sizes and styles. To get a feel for all of their products, they sent me a large decorative straw, a small decorative straw, an x-large straw, and a fun bendy straw. Wanting to see how use and cleaning of the straws was, I used them in a variety of different beverages. Each straw, when my husband and I tested them, was easy to clean and looked beautiful in all of these beverages. Best of all, they were super easy to use, allowing me to sit back and enjoy my favorite drinks without having to worry tipping a glass too far, or about creating excess garbage in our household. I have to say though, as a blogger who loves taking pictures, I was very impressed how they made all of my drinks really stand out! I'll be quite honest with everyone, I was really worried about these straws when they first entered our home. When I first took these straws out of their boxes, our Reya was very intrigued. She wanted to get a hold of these boxes badly, which lead to them being knocked over onto our kitchen floors and one even picked up by our pup! While I was horrified, I was even more worried of the straws breaking before I could even do my review. To my surprise, they survived the encounter without a scrach, and so far seem fine in our puppy friendly household – though we certainly don't intend to let her get a hold of them again. After seeing what Reya does in our household, I can see these straws going over very well in households with children. If these straws do break, however, you have nothing worry about, since each straw comes with a lifetime guarantee against breakage! What I liked the most Glass Dharma straws, however, was how easy they were to clean. With the little straw brush, you can easily clean out these straws. While the brush may not seem necessary, it really does make a difference when it comes to cleaning these straws and made them look spotless. In a way, they are even easier than cleaning my dishes by hand! After having tried all of these straw, I am happy to say I can't think of a single negative thing about them. They are excellent straws, which are easy to clean, durable, and look amazing in just about any beverage. As a blogger, I can't wait to start making a variety of different beverages to feature on my blog now. More importantly, I can't wait to buy more for myself to show off to guests the next time we decide to entertain. After having Glass Dharma's glass straws for a bit over two weeks and giving them the full test in a dog friendly household, I have to give these straws an A+ rating! They really are perfect for just about any family! Want to buy a set of these straws for yourself? After you have tried glass straws, you will never go back to using cheap, plastic straws! Even better, there straws are fairly inexpensive, meaning you too can have quality straws that are guaranteed to last for years. 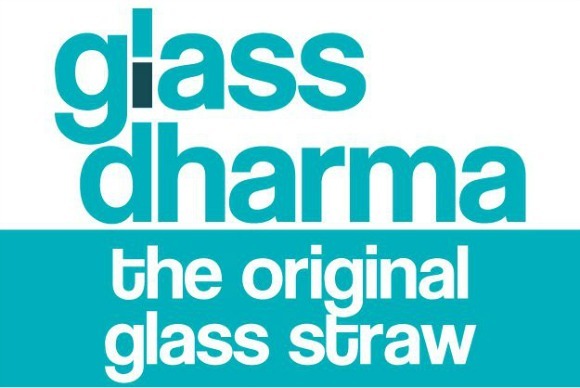 To learn more about Glass Dharma straws or purchase them for yourself, feel free to check out the Glass Dharma homepage. Disclosure: Budget Earth did not receive compensation for this review but did receive free product from Glass Dharma for review purposes. All opinions on this product are my own and may differ from our readers' opinions. Would you like to have your products featured in a similar giveaway event? Want to increase your social media exposure before the holiday season? See howwe can help! Contact susan.l.bewley@gmail.com to see what we can do for your company! To be honest, I never really thought about straws. I remember when we had paper straws. I love that these straw are available in various sizes, depending on what you're drinking. I like the "beautiful bends" straws the best. My little guy drinks from my straw at times, and these would be perfect for him. Love the different styles, too! I've seen glass straws at a few different stores and they always intrigue me. One of my main concerns was cleaning them, so I was interested when you mentioned that you can get a brush for them. I may have to invest in a few of these! I have one Glass Dharma straw that I got as a free gift, and I love it! I would like to have more for the other members of my family to use. My husband drinks a lot of iced tea so he would like the iced tea straws. I am not a straw person.I do think that straws should be used for certain beverages.I will use them for cold drinks purchased at retaurants. We do not use straws much. I would like to have a few on hand for the summer mostly when we would have company and make ice tea. These glass straws are great at getting rid of some of the paper and plastic waste in our house, I love the ones with the colored dots on them so you can tell whose is whose. I like that you can get a brush to cleanse them and then not worry about them being hard to clean. I like the idea since my youngest LOVES straws and it has always seemed wasteful just to toss them. She has tried putting them in the dishwasher, but that never seemed really sanitary to me – how does the dishwasher wash inside?? So glass makes me really happy. Wonder though, can a small child bite it without thinking and break it, getting glass in their mouth? This is such an interesting concept that I never even thought to consider. We are trying to become more "green". This would be a fantastic addition to that lifestyle. Although, I have to admit, I'm not looking forward to washing more "dishes". Glass Dharma as a company seems like theyre going to do great things. A group of gifted individuals with a common goal everyone should have. Glass straws are a simple solution to a huge problem and im glad i can buy from such a good company! How cool are these! It would perfect for my kid brother who is disabled and never drinks right from a glass or cup, he has to use straws. So we go through paper straws like crazy – every time he takes a drink – even water – he uses a fresh straw. Very wasteful and bad for the environment too. I'd love to try these- plus, they're prettty! Great review–thanks. 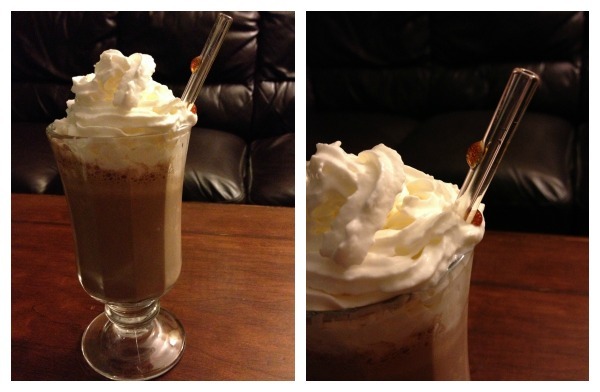 I've wanted some Glass Dharma straws since I first heard of them earlier this year, but after reading your review, I REALLY want some! I love using straws for smoothies, and these glass straws would be perfect. I have had a couple of Glass Sharma straws for oer a year now and happily I was able to convinve my husband to use them instead of those oawful plastic disposable ones. Now if I can just get him to stop using bottled water…! I'm glad the whole glass straw thing is over. The only time I ever use a straw is when I get one with my drink at a fast food place.